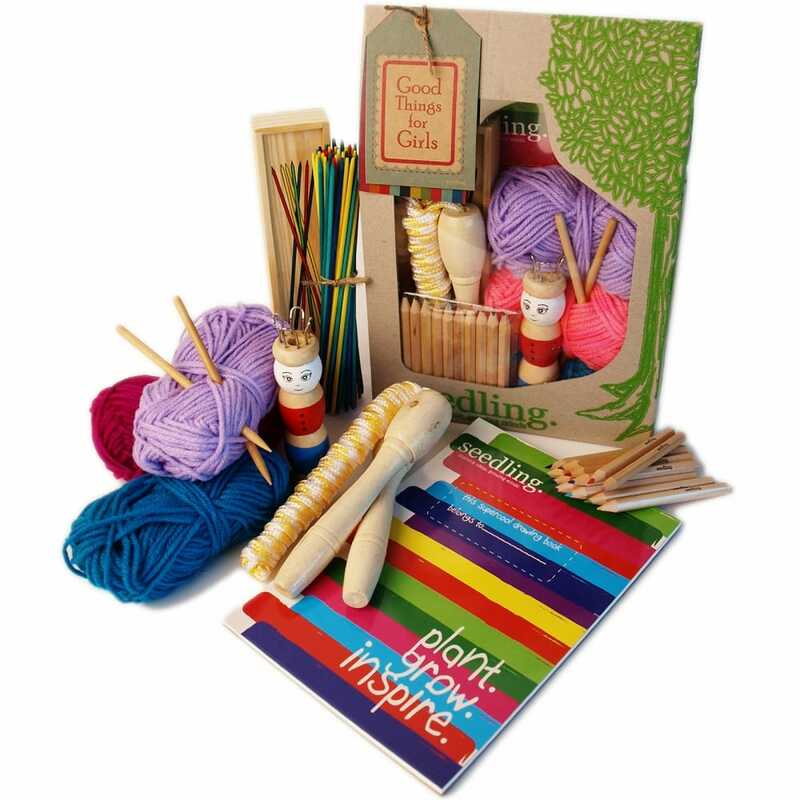 Lots of things to do and create as you can learn to knit, jump rope, or play a round of pick-up sticks, and draw out inspired designs on your sketch pad. It's perfect for taking with you wherever you go and you will find endless fun in this handpicked bundle of many awesome things. Contents: knitting doll, 3 colours of wool, skipping rope, sketch pad, pencils and pick up sticks. A bit about the brand: Imaginative kits and toys that help bring kids ideas to life, We think there’s nothing more inspiring than watching children unleash their creativity and play in their own unique way.